The endless GOP hostage theatre over US budgets succeeds in one of its main purposes: to distract attention from issues that matter. Like the race against the clock to avoid complete climate breakdown. We already have the trailers. So here comes a fat Victorian-novel style doorstopper weekend post with as many nutritious links as a Christmas pudding has currants. What hope is there for my granddaughters? A change of heart by billionaires? A popular insurgency, a Main Street Spring? A miracle discovery? The one solid basis for optimism is the prospect of terawatts of solar energy. If you just extrapolate the global trend of the last 12 years â€“ an average growth rate of 43% a year – , the world will reach its first cumulative terawatt of solar PV in 2020. Its expansion would cross the world’s full energy demand soon after 2030. That’s fast enough even for James Hansen. Plenty of experts say it won’t happen. But their reasons are unconvincing. For some time semiconductor experts have been offering very good reasons why Moore’s Law of transistor density must come to an end. But so far it hasn’t, and looks OK for a good few cycles yet. In comparison, the trend doubters on solar PV are running on empty. Existing solar, wind, biomass, and energy storage systems are not yet mature enough to provide affordable baseload power at terawatt scale. Baseload? What’s that, Grandpa? Well, sonny, in the days before the Deluge we used to have big coal and nuclear power plants running all the time, that’s baseload, and gas plants running only at times of high demand, that’s peak lopping. Now we have wind and solar running when they can, because they are the cheapest, as primary load; but they are variable, so we need despatchable capacity to make up the difference, peak and off-peak. There isn’t any baseload now. You can’t believe experts who are still trapped in an obsolete paradigm. Exhibit B, the IEA, the born-again intergovernmental think tank, and semi-penitent former whore cheerleader of the oil industry. They project that solar PV will flatline around 26GW of Solar PV a year, below its current rate. But their assumptions are plain wrong. They predict that utility PV installation costs will gently fall from $2.6 to to $1.65 a watt in 2035. Terje Osmundsen, author of the blog post I got this from, works for a company that will quote around this today. (Independent confirmation from another solar entrepreneur, Jigar Shah, here.) The IEA shows in-depth ignorance by expecting 130 GW of PV to be Â«retiredÂ» by 2035. Osmundsen points out that 25 years is just the maker’s guarantee for 90% performance; the gear lasts much longer, 30-40 years at least. The only way I can make sense of the IEA’s absurd predictions (I’m not going to shell out good money on a dud report to check) is that they think past growth has been entirely driven by policy, which is now going into reverse, as in Spain. Neither proposition is globally true. The learning curve (a steady 22% since 1955) is driven by technology; policy just enables or obstructs it. And the number of countries with reasonably supportive policies and targets keeps growing: Brazil, Mexico, Chile (for the policies of these three, see also here), South Africa, Turkey, Saudi Arabia, France, India, Thailand and Indonesia …) These are following in the footsteps of the rapidly growing big deployers of China – its latest target is 10 GW this year -, the USA, Australia and Japan. Germany has stopped growing, but at a very high annual level of 7 GW and a stock of 30 GW. Only Greece and Italy have run out of money and are in retreat. In developing countries, the boom is driven by simple economics, not subsidies. What’s more interesting is that solar boosters like EPIA and Greenpeace also won’t trust the trend. In a joint report, they predict a steady slowdown in the pace of cost reduction and installation, and their optimistic scenario comes out at half the trend number in 2020. I can’t find any considered argument for this. It’s basically herd caution in the consultaverse, reflecting the risk aversion of its client investors. McKinsey is an honourable exception. Distinguish between the intrinsic characteristics of the technology, and its deployment. Clearly any given process, like the currently dominant polycrystalline silicon cell, will reach an intrinsic cost asymptote some day. If DARPA and its industrial partners think this is below $1/watt installed, who am I to quibble? The current wholesale module price is 65$c per watt (cyclically ahead of the trend), so 50c/watt is pretty certain in the next few years, and BOS costs will surely follow on the German model. When the current scheme stalls, there is an extraordinary variety of potential relays being investigated, ranging from 3D light-trapping geometries to 44% efficient multijunction cells (on sale now for satellites and military backpacks, at a price) to the ultimate long shot, artificial photosynthesis mimicking the near 100% efficiency of leaves as solar cells achieved by evolution using weird quantum effects. I have no more idea than you which of these will make it to market success. But it would be very surprising if none of them were able to take over the torch, and we were stuck as it were with 5Â¼” floppy discs for computer memory. In any case, we don’t need any of them to get to tens of terawatts. Beyond that, the environment will begin to impose constraints, and policy will become critical to a successful transition. It’s most unlikely that 50 TW of solar PV will meet world energy demand in 2031, even if it’s by far the cheapest option. What are the possible constraints? One: running out of land. A world total of 50 TW of solar panels, the upper bound in my thought experiment, corresponds to 25,000 kmÂ², or a square about 100 miles on a side. That’s less than the roofspace of a bundle of megacities. So land take is not a killer. The WWF has just released some pretty maps making the same point. Two: intermittency. We will need a lot of balancing power for solar in a zero-carbon world. (Actually we will probably have to go carbon negative, and build a few TW for sequestration, but never mind for now.) Some of it should be be wind, which is nicely complementary at night and in winter (Fraunhofer here, slides 15, 23, 58) but also variable. So we must have a lot of more expensive despatchable power. This can be either substitute primary sources, in the forms of hydro, geothermal, CSP, and biomass; or additional storage for time- and mode-shifting, as distributed and utility batteries and heat tanks, synthetic fuels catalysed from the air, and load management with price incentives. Now all of these except the last are going to be more expensive than solar PV. The optimisation problem is to start from 100% solar PV, which is mismatched to demand, and add the other things so as to match demand at least additional cost. Wild guess for a seed solution: for 10TW continuous demand, the primary energy could be 5 TW solar (installed 33 TW), 3 TW wind (9TW installed), 1 TW geothermal (2 TW installed), 0.6 TW biomass (1.2 TW installed), the 0.4 TW of hydro (0.8 installed or under construction) we have now, and 5 TW (?) installed storage. You can shift between wind and solar, and between storage and the despatchables. (To pacify Brett, we should throw in nuclear power, but in fact it’s not going to be more than a footnote, for reasons explained here and here.) A terawatt is 1000 nuclear reactors, which will never be built. Even in this very crude form it stands out that the policy problem lies not with wind and solar but with despatchable energy. Load management is a no-brainer, but its scope is necessarily limited. We do not have deliverable technologies for storage, geothermal, and biomass on the required scale. That’s where the funding should go. Three: transportation, iron, and cement. These are the main areas where solar electricity is not yet a technical solution. Electric cars are slowly on the way to mass deployment, but not trucks, ships, and planes. Absent technological breakthroughs, it will have to be sustainable bio- or synthetic fuels. Cement-making inherently releases carbon dioxide, even with solar calcining. A lot more work needs doing here. Four: backlash. Cheap solar PV is disruptive because it’s going to be very cheap, and will destroy value embedded in defeated competitors on a heroic scale. The shift will not be controllable by incumbents. Solar PV doesn’t only come in the unthreatening shape of multi-megawatt utility solar farms. It also arrives in distributed form on residential and commercial rooftops â€“ turning millions of passive electricity consumers into an activist army of prickly producers armed with social media and votes. Some rough and noisy politics is in store before the oil and coal industries die. Germany is the laboratory for the future here, as solar is already below grid parity and renewables are having a major impact on electricity supply. Merkel’s conservative government, pushed by incumbent utilities and heavy industry, is increasingly hostile to its lusty and disruptive solar cuckoo. It favours expensive offshore wind to replace the rashly closed nuclear power stations. In Spain, rooftop solar was strangled in the cradle, so there’s no lobby to defend it, just marginal bloggers. But in Germany the solar producers are a large and strong lobby. What’s more, the government has lost the technocratic control of the situation it had when the FIT was a subsidy and could be tweaked. The official target for solar PV installation in 2012 was 2.5-3.5 GW; the result was 7.6 GW. The FIT will expire above 53 GW, but why should German households and warehouse-owners stop? The payoff is less and less the miserable FIT, more the saved consumption, valued at the full retail price of 25câ‚¬/kwh. Local storage, as low-tech as the venerable storage heaters being dusted off and as high-tech as electric cars, will stretch the self-consumption payoff. What’s sold to the grid will have some market price. Some German solar people, including Professor Volker Quaschning, are already proposing 200 GW of solar PV in Germany, four times the government target, and a 300 GW yearly worldwide installation rate by 2025. Can we get there? I’ve said it before: we are witnessing, and in many cases taking part in, a technological revolution. Governments can obstruct it as in Spain or help it along as in Germany, but they are not in the driving seat. Current policies are favourable enough for the revolution to happen. Will it happen fast enough to save our climate? Even with my optimistic scenario, solar PV doesn’t really vanquish fossil fuels till the 2020s. If carbon emissions have to peak in the next five years, the heavy lifting will have to be done by conservation â€“ meaning carbon pricing – and wind energy. Wind has a lower historic growth rate than solar â€“ 28% over the last 15 years, and slowing as the technology matures; but it has a much higher installed base, around 280 GW nominal to solar’s 100 GW. Since wind’s capacity factor is twice as high, the effective ratio is five to six times. There’s a strong case for differential medium-term support for wind. On conservation, the air pollution crisis in China and coal chaos in India offer more hope than US policy, still in hock to denialism like Noah’s neighbours. Don’t overplay the capabilities of natural selection. You refer to “the near 100% efficiency of leaves as solar cells achieved by evolution using weird quantum effects”. Actually current silicon is already more efficient than photosynthesis. The wikipedia page cites a theoretical maximum efficiency for photosynthesis of 11% and an actual performance of about 1/4 to 1/2 that. On the other hand, a forest full of green plants is much nicer to walk through than a desert full of PV arrays. Yes, the past growth has been driven by policy, in the sense that only massive subsidies make solar competative any place that’s able to be hooked up to the grid. That may change, indeed I hope it will, but there are all manner of problems with solar PV which can be papered over, (Like using the grid to compensate for intermitancy.) so long as it’s a small fraction of power usage, which will become increasingly important as it starts to push past a few percent. Fossil still receiving $Bns in subsidies notwithstanding, the past growth – esp. recently – has been due to technology bringing cost down. be a little dangerous and expensive. precisely matches the peak output of solar. sunny Southwest, with 6-7 hrs/day. One of the major problems with solar on the grid is large-scale ramping events. Both Texas and California have experienced significant events where fast-moving cloud cover (and in Texas, fast-moving onset of persistent calm winds) has “ramped down” solar output quickly enough to strain the ability of grid operators to get gas turbines on-line. One problem with your hot-day scenario is that thunderstorm lines will block out the PV arrays faster than the houses in the path of the storms will cool down – the sun is gone but the A/C is still running. Again, none of these problems are insurmountable. And don’t get me wrong: I’m all in favor of lots more solar and possibly more wind as well. But the glib statements that the people who currently work to keep the North American grid in balance are corrupt fools is a bit silly. Although it is deeply unclear to me that our current attempts to rebuild the US electric system (Canada too to a lesser extent) along lines laid down by the Chicago School of Economics will allow these problems to be addressed. For all their faults, the old geographically compact regulated monopoly utilities would have been better prepared and capable of handling a centrally-planned and dictated change in supply mix ala Germany’s than the current “competitive”[sic] electricity providers. This is a common fallacy. Peak output of a PV system is solar noon, or shortly thereafter if west-facing. Peak AC load is quite a bit later. Houses and buildings have thermal inertia. In fact, in California, the system peak is late afternoon to early evening. Worse, studies show that as you add more PV to the system, the correlation with the remaining demand net of existing intermittent renewables gets worse and worse. PV is correlated with demand, but not particularly well. As an aside, I used to be a bright young man full of ideas in the energy business. Now I’m a cranky old man (not quite a grandpa yet) who occasionally manages teams of bright young men & women. And now I understand that weird quirk of the mouth my elders used to get when I would explain my bright new idea… (I was right about the ARPANET though). I don’t disagree with your basic premise, and I certainly know about the ingrained resistance to change in the electricity industry (made worse, not better, by the freshwater-inspired restructuring in 1994+). But I have to ask, have you ever worked in a major load center’s power dispatch control room for a full season (at least six months)? Because it really, really, really isn’t as easy as the wind/solar optimists say – and the people doing it today really aren’t stupid. Think very hard before you advocate Yglesiasizing a service as fundamental as electricity. Naturally I haven’t but there are Danish and German engineers who do, and run grids much more reliable than the USA’s at ten times the renewable penetration. Grid conditions in Germany and Denmark are considerably different than those in North America, of course. One key factor being that the wind off the North Sea is stronger and less variable than continental wind, resulting in a much higher capacity factor for wind farms; another being that Northern Europe seldom sees the seasonal variation in temperature and extreme high temperatures that are common in central NA. I’m not sure where the linked source is getting the reliability statistics showing the US’ reliability numbers being lower than Greece. The US does have large areas of remote rural service (e.g. Montana) which are inevitably going to have more outages than dense urban networks, but if the assertion is that US reliability factoring out unavoidable weather conditions is at third-world levels I’ll respectfully have to ask for more details on that one. In the US distribution reliability (to your house) is regulated at the state level, and I don’t have aggregated statistics at hand. 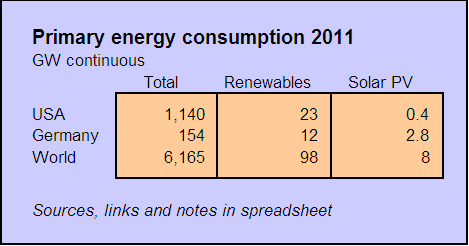 Here’s a typical state example ( http://www.cpuc.ca.gov/PUC/energy/ElectricSR/Reliability/annualreports/ ) and the 2012 reports for SCE, for example, look fairly reasonable. Zero interruptions would be great, naturally, but would also come at a cost. True for Denmark but not for Germany, which is only now starting to instal offshore wind. My source for US grid reliability (Galvin) looked reputable to me. The most unreliable regions are not remote low-density ones in the Rockies, but the densely populated Great Lakes and mid-Atlantic ones. Their report, page 17. The international differences are so enormous that they are unlikely to be measurement artefacts. In any event, assuming arguendo the superiority of the German and Danish provision-of-electricity systems, there are two serious problems here in the United States: the Federal Power Act amendments of 1995 and 2005. Both of those revisions, ostensibly designed to “improve competition”, increase supply, and lower prices were carefully written by Chicago School economists to create the type of rigged, winner-take-all “markets” that Republicans and neoliberals love. From the time of the 1994 act forward the FERC has been populated almost exclusively with Chicago Schoolers as well, and has worked diligently to break up any vestige of service in the general public interest and transfer the entire process of providing electricity to auction markets. There are a few states that have resisted (e.g. Missouri) and asserted their rights to continue regulating, but the FERC and the ISOs are working hard to break them, too. Unfortunately, Chicago School auctions don’t leave any room for considerations such as long-term national welfare, so a Germany-style solarification doesn’t seem likely. What was it that Mark just posted about intellectual honesty and people hoping to persuade rather than inform? No, that $0.097/kwh includes a delivery charge of $0.027/kwh. (And I checked versus my last electric bill–$146 net of taxes for 1500 kWh). and then high-volume manufacturing will reduce prices. I am with Cranky Observer above. I worked in high tech for many years before transitioning to the power industry to save the world. The optimism displayed here is actually hard on the eyes. Wimberley starts off with a dig against experts who are stuck in an obsolete paradigm, but in reality most of those experts are not stuck in a paradigm so much as they are stuck operating with the real constraints to manage a real power system safely, reliably, and cost-effectively. It’s not about “baseload” vs “peaking” so much as it is about putting together a portfolio of resources that can provide the level of service to which we’ve all become accustomed. As the latter part of the piece points out, PV obviously cannot solve all our power needs and even an infinite quantity won’t keep the lights on at night. Wind is somewhat complementary, in some places, most of the time, but in most places not most of the time, and in all places not all of the time. Storage, of course, can solve this, but the technological problems to provide bulk storage that can shift across minutes, hours, days, seasons, and even perhaps years are not even close to being solved. Price-sensitive demand response can also help, but let’s not kid — making a system that requires DR is a form of lowering the quality of the product — so don’t be surprised about the backlash. So, getting back to that portfolio, it turns out that you need a lot more PV capacity than you can use most of the MWh from, you need a lot more wind capacity than you can use the MWh from, and you’ll need a substantial amount of storage to boot. Dropping energy from wind and PV is equivalent to raising its price, and storage is already pricey. – get serious about the SYSTEM — which includes seriously learning a lot about power markets and why the system is at it is. When this happens, PV will take off for real. PS — I’ll give the PV fanatics this. If someone cracks the right price level for retail level energy storage enabling complete grid disconnect (not leaning on it for anything at all) then we can see something truly disruptive and exciting happen. – get serious about the SYSTEM â€” which includes seriously learning a lot about power markets and why the system is at it is. I think all these are right, and the other part of the value issue is the old grid that is still bumbling along. A few more Sandys and millions of freezers of ruined food, plus the continued price decline and there will be real movement. How would you describe what is happening today? In the 15 countries I mentioned? James, Europe’s FITs are being gutted in the name of austerity – real movement would be continued high growth at or above recent rates. Here in Exceptional America, new electricity generation from solar was 6% of all new installations in 2012 – which is great, but it is a baby step. Real movement will be when those numbers are consistent and higher. Again, part of my work is to foster solar growth. I’m already booked several times – three weeks into the year – to talk about it, better than last year. 2012, a difficult year for the industry, saw the world market being rebalanced away from Europe towards China, India, the USA, and a host of emerging markets. It is no longer critically dependent on European FIT tariffs. As I wrote, German FITs are below grid parity and increasingly irrelevant to demand. France and Britain maintain residential FITs above grid parity. Your perception that 40% growth is not real movement because it hasn’t moved averages yet is, I submit, a cognitive bias. You wouldn’t react that way to an epidemic affecting 6% of the population and growing that fast. Your perception that 40% growth is not real movement because it hasnâ€™t moved averages yet is, I submit, a cognitive bias. You wouldnâ€™t react that way to an epidemic affecting 6% of the population and growing that fast. Again, part of my income is from fostering solar growth. Your argumentation is couched in the premise that we need to move much more quickly to slow emissions. I agree. I also don’t think we are moving fast enough to do this. 6% growth in the US to get us to 1% isn’t fast enough. I don’t know how to move faster either. “…putting together a portfolio of resources that can provide the level of service to which weâ€™ve all become accustomed.” The one prediction I can make with 100% certainty is that the world in 2030 will not tbe the one to which we’ve been accustomed. the lower volume, then grid power will become even less attractive. load-shifting by smart appliances and smart control systems. Consider a typical house. What uses the electricity, and when ? when supply is tight, let the temperature rise a bit higher. of washing machine or dishwasher. LED’s which will be better for replacing the remaining incandescents). Smarter controls (e.g. occupancy sensors) can also save lighting energy. That’s just one possible approach, not necessarily the best or cheapest. shallow to prolong the lifetime). Yes. Germany has just announced incentives for rooftop solar owners to install some storage. With smart meters – which unaccountably Germany has very few of – your battery (or other storage device, eg storage heaters and electric cars) should fill up for a second cycle at night, from wind and (if you are French) nuclear. The storage thing urgently needs professional modelling. Well, I’m in the middle of writing a handbook for solar site analysis for several trades, so there are enough of us out there who think this can ramp up in cities with the technology coming out of the labs within the next decade. For the pass three decades, the planet has been getting greener. For the pas[t] three decades, the planet has been getting greener. The preciousness of someone actually citing Craig Idso notwithstanding, trying comically to play off CO2 as plant food has nothing to do with the latest news about Amazonian rainforests. But thanks. This strikes me about the same as when some guy claims, based on some random bit of disinformation gleaned from Fox, that the observed global thermodynamic disruption is somehow actually negative if you squint just right, choose your data carefully, and wear just the right blinders. We all better hope the world has not been greening for decades, because if that’s true, then man are we ever screwed, because we’ve only seen about half the effect of the co2 already emitted; if the disruption we’ve already enjoyed was this bad and occurred in the face of a great period of high biological storage of carbon (that’s what the claim of a greening planet is), then when the greening rate slows even as our emissions have increased, whamo, we’re toast. Generation is lots of fun (I know, I’ve worked in it quite a bit). But unmentioned in all of this is bulk transmission grid. We’re currently in a situation where the areas that have wind power (Kansas, Nebraska, Manitoba, etc) don’t have the transmission capacity to get it to where the load is growing (Chicago, Atlanta, southern New York). And the very strict ROI analysis requirements imposed on transmission providers by the chain FERC => NERC => ISO, with the state regulatory agencies and the SEC playing their part as well, are showing negative return on almost every proposed long-distance transmission project out of the wind area. The Midwest in particular is temporarily awash in excess generation capacity and it is impossible to show that you’ll ever make your investment back with a new line. Very long-distance transmission is difficult, but we could hire the Soviets, oops I mean Russians, to build some of their famous 1050 KV lines from Kansas to BosWash to pick up that sweet Great Plains wind power. The next problem then arises: nobody, and I mean nobody wants UHV transmission lines in their neighborhood (including me: the guy who watches Koyaanisqatsi and thinks “that steel mill is beautiful”) . Don’t transmit me, don’t transmit me, transmit that fellow behind the hill of trees, as it were. How these problems are going to be overcome in our inevitable transformation into an almost entirely electric economy between now and 2050 is going to be interesting. To use a word. for reducing fossil fuel consumption and better matching usage to supply. I would like to respond, but there is no “reply” button. I think PV can grow 40% globally for awhile, but in any given power system, growth will slow. Sooner, later, it’s hard to say. But probably long before PV becomes a significant fraction of total capacity on that system. This is not the result of my cognitive bias, but of my knowledge of power systems. At around 10-15% penetration, PV starts to show significant diminution of marginal value. For one, at peak sun periods, when fossil units are backed down as far as they can go, there may be forced curtailment of the resource, or curtailment of some other intermittent renewable resource. This drives up the real LCOE of these resources. Similarly, as you add PV to a system, the load profile net of existing PV and other intermittent renewables starts to change. The peak moves further into the afternoon and evening, which means that that capacity value of new PV diminishes, that is, it’s ability to provide capacity /when needed/. Third, as you add more intermittent renewables, their output swings will, in aggregate, subject the system to larger swings in net demand, necessitating resources that can be controlled to deal with ever larger and more sudden ramps. This will drive costs as the system either needs to invest in storage or traditional dispatchable machines. It’s good that professionals are working on the implications of high levels of renewable penetration. What I would contest is the implication that the difficulties for grid managers and utilities are my problem, or more generally a problem that advocates of massive solar PV are in some way obliged to solve. I described its arrival as a revolution. It would still be one if I opposed it. Revolutions are messy and create losers as well as winners. In this case, the revolution is our best chance of survival, so sympathy for the losers is misplaced. For example. you write: “At around 10-15% penetration, PV starts to show significant diminution of marginal value.” That’s value to the utility. The knock-on effects on fossil capacity are not going to to be seen by households and Wal-Mart as their problem. No conceivable regulation can stop them installing cheap solar capacity to meet their own unshifted peak daytime consumption, and probably a bit of shifted as well if batteries get cheaper. Utilities in many places are trying to levy charges on distributed producers for fed-in electricity, to cover alleged capacity and transmission (!) costs, but they are not likely to win these battles at the ballot box. They will have to learn to live with the new landscape. BTW, German Greens are that country’s earliest advocates of capacity markets and subsidies, as a response to pressure from incumbent utilities to slow down the Energiewende. It’s also worth remembering that much of the legacy system – particularly gas and hydro, less so coal and nuclear -, is already available as despatchable backup in OECD countries. (This applies less in fast-growing countries like India and China.) Despatchable backup gas does not of course get us to zero-carbon, but it can get us to a place worth having while we figure out storage and geothermal. No, it’s not value to the utility. It’s value. As in social benefits minus social costs. Depending on the structure of the utility (and they vary widely), the utility may pay the dollars, but in the end the incidence will fall primarily on rate payers. If, as you say, such things are not sustainable at the ballot box, then I think you’ll not see utilities “living” with anything. You’ll see a gradual pattern of underinvestment followed by low reliability and eventually a multi-tiered system where people who can afford to provide themselves with electric service without the aid of a reliable grid will do so, and those who can’t, won’t. Sure, the utilities may suffer (huzzah!) but in the end, if there is to be a grid, someone will have to pay for it. By the way, there is nothing exclamation-worthy about utils trying to recover costs for transmission and capacity. In California, which I know best, the net metering program allows PV generated MWh to offset ALL bill costs: those for energy, capacity (which is actually folded into generation on a CA bill), transmission, and distribution. But rooftop PV does not avoid all these costs. There is probably some transmission benefit, but then again, only in so far as solar output coincident with transmission loading allows a reduction in transmission investment — a big if. I’m even more skeptical that rooftop PV avoids significant distribution costs. One only needs to imagine a hot, muggy, cloudy day to realize that it is hardly a given that distributed PV can avoid distribution investment. I’ve already pointed out the capacity value problem. It’s real. A fact. To be dealt with and not rhetorically brushed aside. 1. distributed storage makes being completely free of the grid attractive. Over time, the grid and utility-scale resources becomes stranded assets, death spiral economics for the losers who still depend on them, and perhaps an abrupt transition to be post-utility world. A revolution, yes. 2. Ratepayers and voters around the world decide they want a solar-powered system. PV systems get cheap, and perhaps MWh (volumetric) charges on your bill go down, perhaps all the way to zero. But your bill will not go down nearly as much. There will be infrastructure charges, demand charges, and other fixed charges. Maybe for-profit utils will suffer and die but if there is investment required (and there will be), there will be a bill. One thing James overlooks, and some of the more dour commentators mention only as a warning: curtailment. Renewables can become very reliable indeed if you produce a great deal more than you need, and then dump most of it. That can be cheaper than storage. At current prices this is still very expensive. Here is one example http://www.ceoe.udel.edu/windpower/resources/BudischakEtAl-2013-CostMinimizedWindSolarPJM.pdf . Note that this is within a single grid in a single state. Still it shows that mostly wind, a very little bit of solar and a little of bit of solar could provide 99.9% of electricity reliably with natural gas for the remain tenth of a percent. Note that this does not consider long distance transmission that would allow the use of small amounts of hydro and geothermal for shaping. The extreme price and amount of dumping come because A) solar is so much more expensive than wind, B) so even though it means a lot of dumping a unbalanced grid that is mostly wind and a little solar is cheaper than a more balanced grid where solar and wind are roughly propostional – say somewhere between 40/60 and 60/40. If solar can drop in price just to the point where it is as cheap as wind, then you could probably get away with much less curtailment. Another study (though unlike the first not peer reviewed) showed that we could 70% of our electricity from sun and wind with no storage and very little curtailment. https://docs.google.com/file/d/0B11UgVNFOcF6TnJ6bmRORVRBemM/edit?pli=1 This is not cost optimized, but it probably would be if solar dropeed enough. At point add some curtailment, a little bit of storage and shapig via hydro and geothermal, and I suspect you could get to at least a 98% renewable grid with 2% natural gas, at a price of around ten cents per kWh. That is a multiple of what generation costs now, but the difference is less than what we spend on our military budget. Which leads to the real point: the social cost of switching from fossil fuel based electricity to renewable electricity is socially bearable even with today’s technology at today’s prices. Waiting around for that technology to become cheap enough that it can compete against fossil fuels in the current market is absurd. It is an important enough goal that we should use public investment to make it happen. Especially stuff like demand management, long distance transmission, storage won’t happen in a “free market” as fast and to the degree needed. But even deployment of sun and wind need large scale public intervention. WE need to get over market fetishism on this issue.